Small changes can save big money on your electricity bill. Here are the ways you can use power more efficiently and decrease your power bill. As the saying goes, "A penny saved is a penny earned." When you're trying to cut back on your spending, one of the best places to to start is your electricity bill. According to the U.S. Department of Energy, the typical American family spends $2,200 each year on energy bills, with nearly half of that going toward paying for heating and cooling. 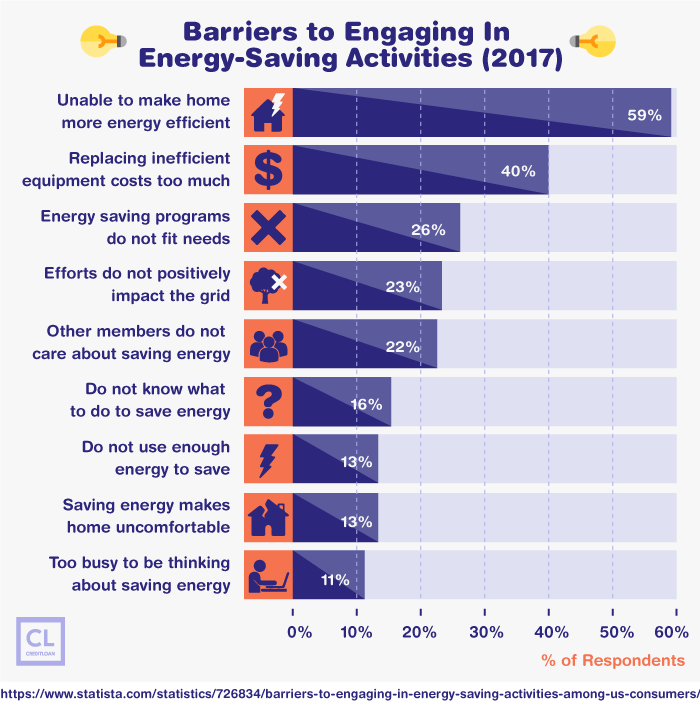 The USDE also estimates American families can lower their energy bills by as much as 25%—that's $550!—just by committing to and taking actions that reduce their household usage! By following a few simple tricks and minor adjustments to the way you consume power in your home, you can drive your energy costs down. This will allow you to save more money each month, while also reducing your own carbon footprint in the process! Here are 11 things you can do to decrease your electricity bill without sacrificing your quality of life. The U.S. Department of Energy estimates most households can decrease their utility bills by 10% just by installing a programmable thermostat. You can program your thermostat to change the temperature at different times. Save money while you sleep. For example, your heat can be turned down at midnight in the winter when you're sleeping and turned up again an hour before you typically wake up. Programmable thermostats only cost about $25 and are estimated to save the average consumer $180 a year—that makes them an investment definitely worth making. The more you can turn your thermostat down in the winter, and up in the summer, the more you'll save. To stop the sun's heat from jacking up the temperature in your house, close window blinds and curtains, especially during the hottest parts of the day. Customize your home with energy savings in mind. For very little investment, you can also install outdoor awnings, solar screens, or tinted window films on the outside of your windows to block or reflect solar energy. Good airflow in your home helps to maintain the right temperature throughout. Unless you're living in a tight space, even central air and heating can have a tough time keeping every room at the exact same temperature. A cooling breeze in the summer. Although a ceiling fan doesn't technically cool the air, it does provide us with a breeze that helps keep our bodies cool in summer. Since we're better able to cool ourselves, it reduces the need to turn down (or turn on) the air conditioning. Sending hot air down in winter. Heat rises, so in the winter some of the warmest air in the home can be pushed up to the ceiling. By putting your ceiling fan in reverse mode, you can push the warm air back down to make the room nice and cozy. Gaps around your windows and doors will let hot or cool air escape, causing an increase in your energy bills. The Department of Energy estimates American households could save on heating and cooling costs by 15–30% just by filling in the cracks around windows and doors. Save big with a tiny investment. 30% of a $2,200 annual energy bill is $660 per year; the cost of sealing up the doors and windows of your home is much cheaper in comparison. You can buy cheap weatherstripping foam rolls or caulking and go around all of your windows to make sure they're sealed. For doors, you can install weatherstripping around the entire door frame to make sure the cool air stays inside during hot days, and the warm air doesn't leak out during colder months. 90% of the energy used during a washing machine load is for heating the water. Choose the cold water setting when you do the laundry and you'll only use 10% of the energy normally used during a hot water wash.
Modern detergents work well enough in both cases, so you won't notice any difference between clothes washed in cold water versus hot water—except when you get your bill! Hang your laundry out to dry. The electricity used for running a clothes dryer is a huge part of the overall energy required to do laundry. Air drying your clothes on a rack or a clothesline will reduce the energy consumed when doing laundry and will save you more money. Night time is the right time—for laundry! Many power providers have discounted rates during off-peak hours. Check with your provider for an exact schedule of off-peak discount times since they differ based on where you are in the country. If you can shift the timing of your electricity consumption (for example, by doing your laundry after 8:00 pm), you'll save a big chunk of money. 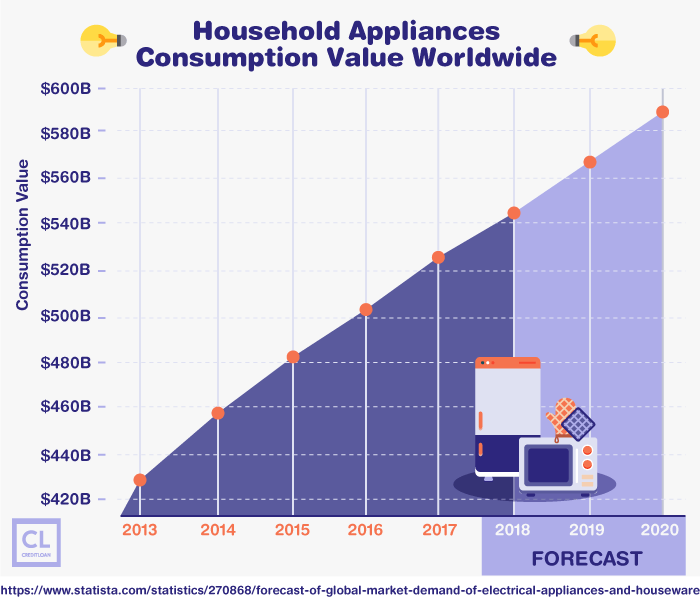 The typical American home has approximately 40 electronics products that constantly draw power, even when they're not in use. Studies have shown that this "standby power" or "phantom load" can be responsible for 10% of a home's energy use. You need to cut all power to the devices (rather than just setting them to "off") to stop them from drawing power. Use a power strip to make saving easy. The easiest way to make sure your electronics are really off is by plugging them into a power bar or strip, so you can cut the power to everything at once by just turning off the strip itself. Microwave ovens directly heat your food so they use up to 30% less energy to cook food compared to a traditional electric range. Keep it cool when you're cooking. Microwaves also don't generate extra heat in the kitchen, which is helpful for keeping the house cool during hot summer days. Dishwashers are a luxury most of us would prefer not to live without, but using it efficiently can save you money. When it's time to do dishes, make sure you have arranged them so the dishwasher is full, but not overcrowded. Drip-dry to save dollars. Once you've loaded the dishwasher as efficiently as possible, disable the "heated dry" option before you start it. You need some heat to wash the dishes, but the heated dry feature is a luxury you can easily skip to save on electricity and money. LED (light-emitting diode) light bulbs use 90% less energy than traditional incandescent bulbs. They also come in almost any tone of light, including the warmer tones that many people like about incandescent bulbs, so your eyes wouldn't notice the difference. You don't have to go all in all at once. They cost a little bit more but last much longer, so start by just switching out the most used bulbs in your home. As the rest of the bulbs in your house burn out, replace them with LEDs and soon your whole home will be lit by energy- and cost-efficient lighting. 13% of the energy consumed by homes is used for heating water. Does your shower have to be scalding hot? Probably not, so set your hot water heater at 130–140 degrees Fahrenheit and enjoy a mildly warm shower. For even more savings, install an insulation jacket on the heater and insulate the first six feet of piping coming off of it. That way, no electricity is spent making up for lost heat. You do everything you can to reduce your bill at the grocery store, so why not also do whatever you can to save money when it comes to storing those groceries? One rule everyone should apply when it comes to their fridge is to let hot food cool completely before putting it in. When you place hot food in the refrigerator and shut the door, the fridge's internal temperature increases, causing it to work harder. Cover food and drinks to avoid overworking your fridge. Another problem occurs when people put uncovered food and drinks in their refrigerator. Uncovered food has moisture that escapes into the air inside your fridge, and condensation forms as the food becomes refrigerated, making the fridge work harder and costing you more money. 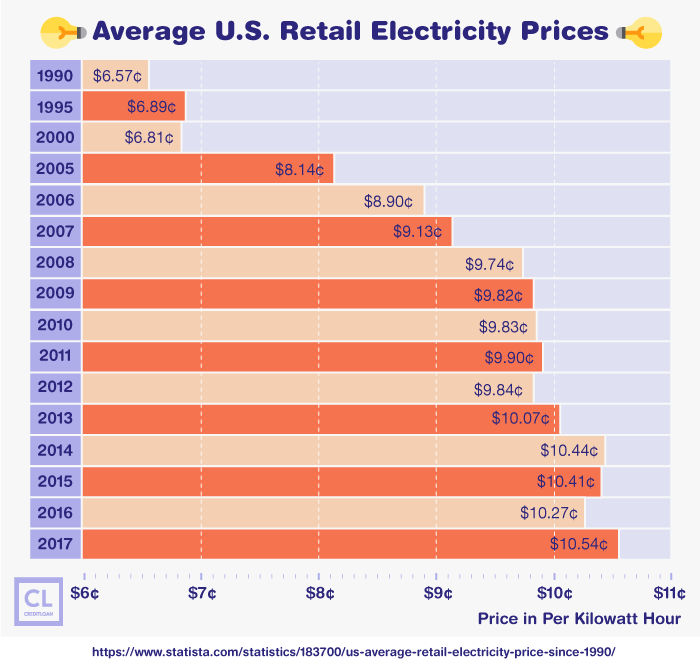 Electricity costs are skyrocketing and they show no signs of decreasing. When you want to get your personal finances in order, and end up with more money at the end of every month, cutting your monthly electric bill is a great place to start. It's not that hard to make a few cost-saving tweaks when it comes to using your major appliances. Making the right choices to boost the energy efficiency and sustainability of your home is really simple, and with the hacks we've listed above, you'll hardly even notice the changes. Got any of your own tips for lowering your electricity bill? How much have you been able to save by implementing them? Any success stories for cutting down on power use?